Brief History: Barton was chartered in 1789 after Colonel William Barton. General Area Info: Barton is gifted with many spectacular lakes and ponds. The shorelines of Crystal Lake and surrounding mountains make Barton an attractive vacation destination. 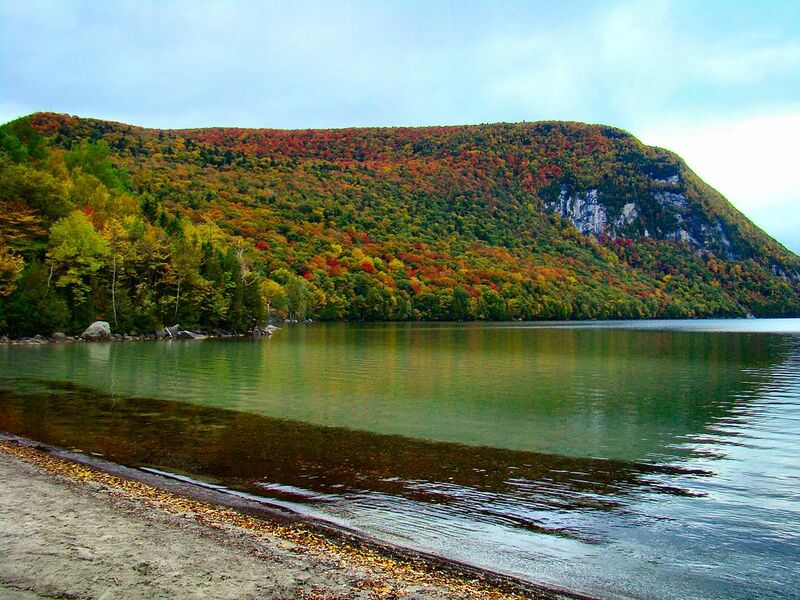 In the spring, summer, and fall take advantage of public beaches, picnic spots, and spectacular views at Crystal Lake State Park, Shadow Lake Beach, and the stunning Willoughby Gap. During the winter months outdoor enthusiasts will enjoy ice fishing, snowshoeing, skiing, and snowmobiling. Barton, like most Northern Vermont towns, has a number of active beef and dairy farms. Dan Maclure, Broker & Owner of Century 21 Farm & Forest Realty, resides in Barton and operates his grass-fed beefalo, a cross between an Angus and a buffalo, farm here. Beefalo is a great tasting yet very lean, therefore, healthy beef. The farm is called Farm & Forest Ranch and sells both beef animals and breeding stock. Along with beefalo, he also has a herd of Angus. The Northeast Kingdom is the heart of Northern Vermont - far away from fast paced city living. It may be easy to get here - Interstate 91 (exit 25 and 26) is just minutes away - but once off the beaten path, the N.E.K is a quieter, more peaceful way of life. Northern Vermont has a long-standing tradition of pride in aesthetic beauty. Recreational Activities: V.A.S.T. trail system, snowshoeing, cross-country skiing, water skiing, fishing, swimming and more. 1951 - Lee E. Emerson of Barton elected governor of Vermont and served at this post until 1955. 1987 - A softball sized meteorite fell in Barton. It was the first meteorite found in Vermont. After it thawed, it turned into a pile of sand, pulverized rock and iron fragments.